These eco-friendly disposable training pants are ideal to help with potty training and also hold the Nordic Swan Eco Label Award for the reduced impact on the environment. They are free from chlorine, perfumes and optical brighteners, while the inner fluff is made from timber from 100% certified sustainable resources. They are a perfect fit design for babies between 39lbs or more and are easy for your baby to pull down. 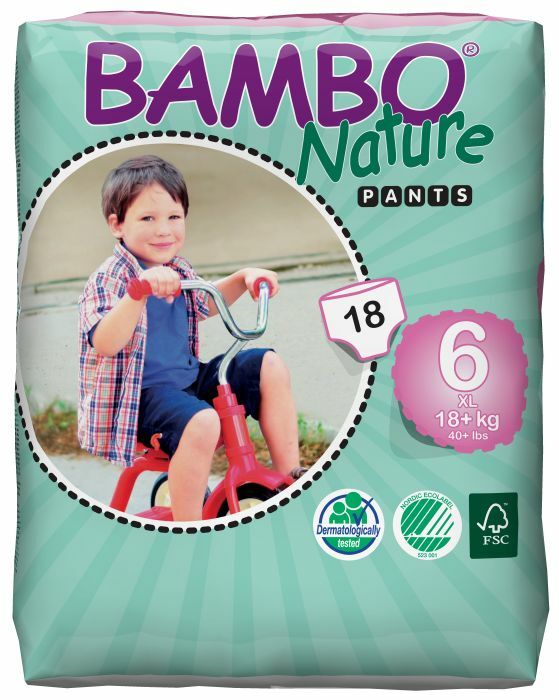 There are currently no questions to display about Bambo Nature Training Pants - XL Plus - Pack of 18. 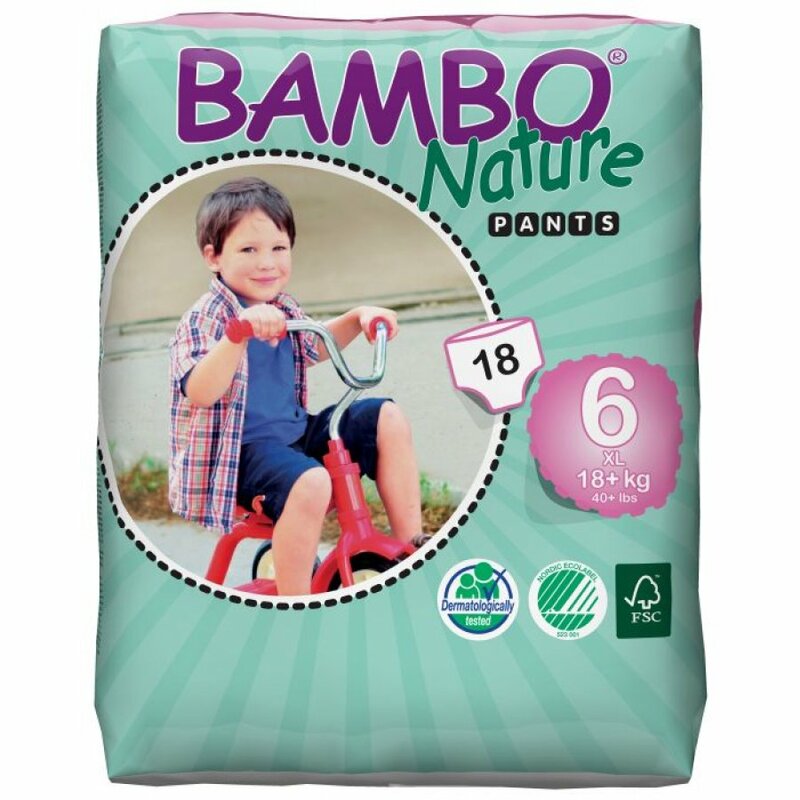 Eco-Friendly, skin friendly and sleep friendly, Bambo Nature Nappies combine all the convenience of leading conventional disposable nappies with concern for the wellbeing of your baby's skin and of the environment. Bambo eco-friendly disposable nappies are free from artificial perfumes and lotions, making them gentle on your baby’s delicate skin. Using these more biodegradable nappies minimises waste to landfill too. Bambo is a Danish brand, holding the Nordic Swan Eco-label, the Scandinavian official environmental label for eco-products, which guarantees an environmentally assured and safe product for your baby. Bambo source materials via the controlled Scandinavian Forestry, ensuring more trees are planted than felled. All materials used are approved by the Danish Environmental Protection Agency.